Gap or missing teeth? Get fixed teeth that last a lifetime with the help of dental implants. Soorya Dental Care is the best dental implants centre in India providing a world class facility for the treatment of tooth loss. The clinic houses top notch implantologist Dr. T.K. Prabhu who offers implant treatment using the latest technology and equipment. They offer safe, painless, high-quality dental implant treatment at an affordable cost. Make an appointment now! Soorya Dental Care is a name to trust in world class dentistry at your convenience, located in Karaikudi which is a heritage town at southern Tamilnadu. We started providing dental healthcare services & Cranio Maxillofacial centre to the public in 2012 with our very first clinic located in Karaikudi, Sivagangai dt. Dr.Prabhu - a trained dentist as well as entrepreneur with long-standing experience and expertise in the healthcare industry spearheads our operations. Dr. Prabhu has walked the extra miles to bring Karaikudi several modern dentistry amenities that are commonplace in the United States and European nations.He has been quick in adopting and implementing new dental technologies which resulted in remarkable growth of the organization in a very short span of time. Without a doubt, it has been a great boon to local people who had been travelling miles to fulfill their dental needs. Also, Soorya Dental Care is one of the best dental hospital in tamil nadu committed to provide comprehensive, quality and painless dental care treatments. We have a team of highly skilled, motivated and enthusiastic dentists whose special emphasis has always been on making pain free guided implant surgery in india. All our surroundings are very comfortable and the rooms are air conditioned. We offer services in Dental Implants, Root canal Treatments, Cosmetic Dentistry, Laser Dentistry, Aesthetic Dentistry, Microscopic Dentistry, Oral Implants, Dentures, Periodontal treatment and Smile Makeover. 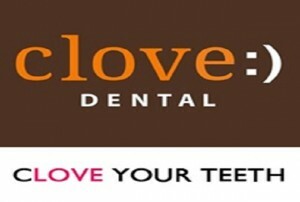 We are here to provide exceptional dental care to you and your family. Please go through our website, feel free to ask questions and share your reviews through the review form. Dr. T.K.Prabhu is an Implantalogist, Orthodontist, Dentist and Dental Surgeon in Karaikudi with high experience and expertise in the healthcare industry. 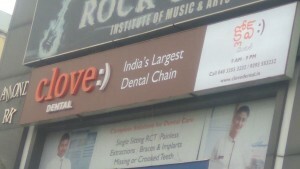 With a passion for dentistry, he currently handles orthodontics cases in Kauvery hospital. Previously, he was also providing consultant services in Apollo Dental Karaikudi. Dr.T.K.Prabhu has been helping his patients achieve the healthiest and most beautiful smiles by combining his experience and artistry. Intensive treatment procedures that set your jaw and face postures in the right shape & structure for healthy living. Fix it right when they are young. Your child’s dental health from first tooth to cavity filling, we take care of everything.